Getting Rid of Ants – Best long term solution! 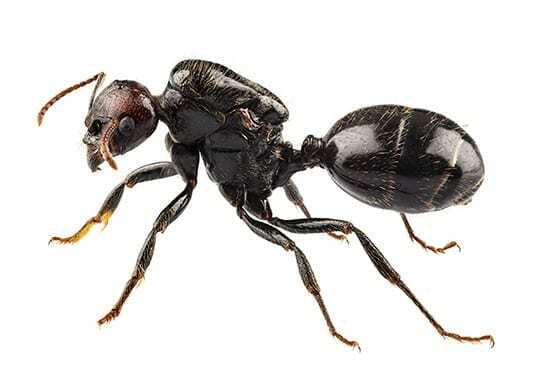 Many homeowners and businesses find regular DIY difficult to eradicate ants and turn to professional pest ant removal. Professional ant control is safe, effective and offers the best long term solution to getting rid of ants! At PestAway, we use the best and most effective registered products on the market. Our technicians are trained and licensed to treat pest ants with environmentally friendly solutions that are safe for you, your family and place of business. PestAway specifically targets the ant species, keeping food, surfaces and water sources free from ant infestations. We help you avoid annoying pest ants in the home and assist businesses to maintain their hygiene and commercial integrity. We spray barrier treatment to all rooms, dusting roof voids and subfloor. Garden beds, fence walls, eaves and nature strip are also treated. In severe cases we treat wall voids and cavities. Our products are registered as safe, environmentally friendly and effectively eradicate ants. Most ants die instantaneously and continue to do so over the next few weeks. Clients living in difficult ant infested areas may choose to have their home treated on a yearly basis. We educate you on easy things you can do to maintain long term control. Remember to keep surfaces clean – Don’t attract pesky ants!